Oneworld launched lighter partner model for airlines that would just like to connect with some member airlines and Fiji Airways was announced to be the first one to join (read more here). The airline is now officially Oneworld Connect airline effective December 5, 2018 and American Airways, British Airways, Cathay Pacific and Qantas are the sponsoring airlines and their frequent fliers can expect to receive some meaningful benefits when flying on Fiji Airways. You can access Fiji Airways website here. Alliance wide benefits are only priority check in and boarding. Here where things start going really wrong. You obviously get lounge access if flying on business class. Economy passengers lounge access is provided for British Airways, Cathay Pacific and Qantas frequent fliers ONLY if they fly respective codeshares on Fiji Airways flights per the chart above. American Airlines frequent flier benefits are rolled in the first quarter of 2019. Fiji Airways starts flying as a oneworld connect partner from today (Wednesday 5 December) – as the first airline globally to link up to the world’s premier alliance via this new membership platform. Fiji Airways is now starting to display the new oneworld connect branding on its aircraft fuselages by the main passenger doors, on signage at airports and on other many other items of stationery and marketing collateral. The first Fiji Airways aircraft to feature the oneworld connect logo is its initial Boeing 737 MAX 8, which has just touched down at its Nadi hub after its delivery flight from the manufacturer’s Seattle base. Four more of these state-of-the-art twinjets will follow in the year ahead as replacement for older 737s flying on the airline’s short and mediumhaul network to destinations including Australia, New Zealand, Hawaii and neighbouring Pacific Islands. 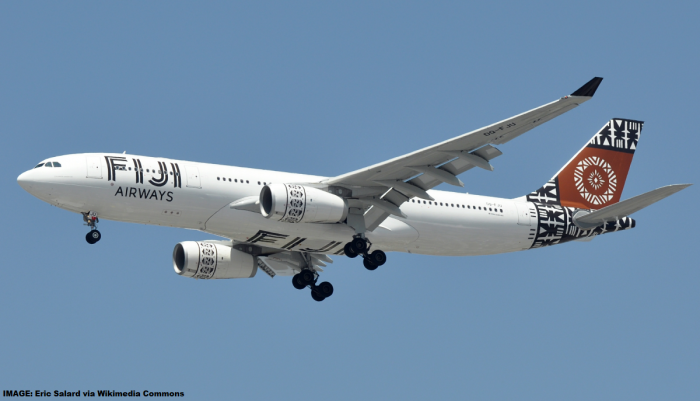 Fiji Airways is the first airline in the region to operate this modern aircraft type. From today, customers with Emerald, Sapphire or Ruby status in any oneworld® member airline’s frequent flyer programme can use priority check-in desks, where available, when flying in any cabin class on Fiji Airways, while customers with Emerald or Sapphire status in any oneworld member airline’s frequent flyer programme will also be offered priority boarding when flying on Fiji Airways. 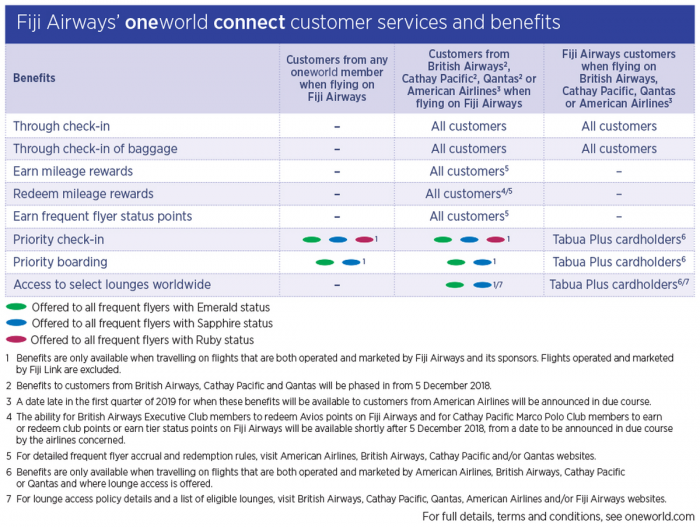 Additional oneworld connect customer benefits are being phased in between Fiji Airways and its four oneworld sponsors – American Airlines, British Airways, Cathay Pacific Airways and Qantas. Most of these additional benefits are available from today between Fiji Airways and three of its sponsors – British Airways, Cathay Pacific and Qantas – although some elements will be phased in during the coming weeks. For details, see the table below. They are all expected to be available between Fiji Airways and its other sponsor, American Airlines, from late in the first quarter of 2019, on a date to be announced in due course. oneworld’s regular range of services and benefits remain in place for customers flying with the alliance’s full member airlines and their affiliates. 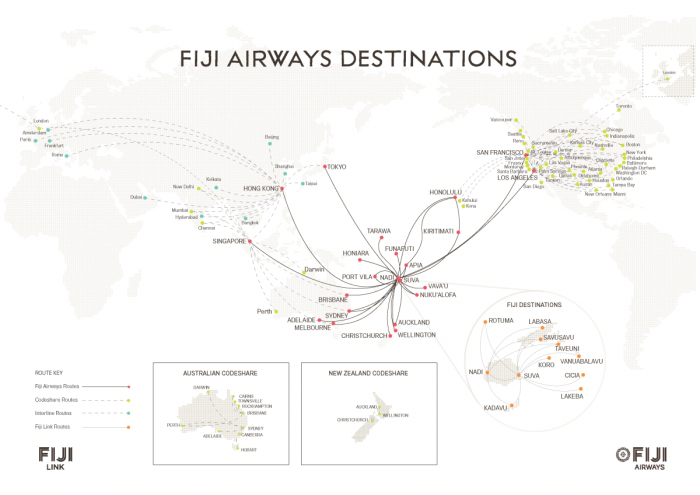 Oneworld connect was unveiled in June as the alliance’s first new membership platform since it was originally announced 20 years ago – with Fiji Airways revealed at the same time as oneworld connect’s debut partner. Oneworld is continuing discussions with other carriers interested in participating in the programme, from various parts of the world including the Americas, Asia-Pacific and Europe. Each oneworld connect partner will need to have a minimum of three oneworld members as its sponsors to be initiated into the programme. This looks more like a reciprocal agreement than alliance wide model. Members from Oneworld programs that are not sponsors don’t earn miles, cannot redeem and won’t have lounge access regardless of the status. This makes choosing the right and perhaps one of the bigger Oneworld programs more important. The alliance is hinting that they may have more of these connect partners joining in the future. Reader Question: InterContinental Royal Ambassador Downgrades?